On the dock, that’s been transformed into a colorful exhibition of the commemorative depictions, the Fort of Santa Cruz rises since the XVI century, bastion of the King Manuel I for the defense of his vast empire. Since 2004 it’s been part of the Pousadas de Portugal chain, and from its rooms you can see the come and go of vessels with the pointed silhouette of the Pico Island in the background. Not exempt of certain minimalistic aspects in its décor, the pousada goes beyond the dining room windows and lobby into a luminous garden, which presides a geometric Zen swimming pool framed by a perimeter of loopholes and embrasures, communicated with the port stowage area through a tunnel. With its back to the sea, you can recognize the façade by its tapestry of vines, illuminated at night with garlands of lights much in Azorean style. Churches of this archipelago are also adorned in this fashion for local festivities. From the rooms of this pousada you can enjoy the incredible views of the Pico Island or the famous Marina, where ships coming from all the corners of the world dock. 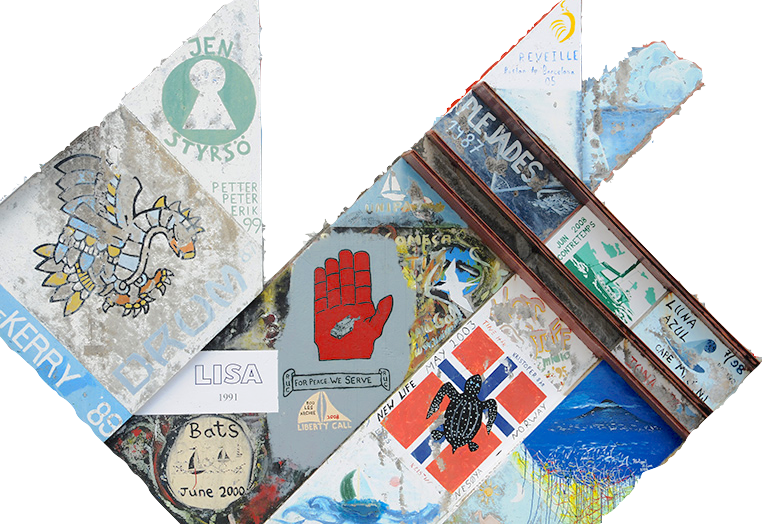 It’s tradition that travelers arriving from a voyage from the Atlantic paint on the pier a memento of their visit, making the port a colorful gallery famous worldwide and a legend among sailors around the world.